On the prowl for easy Halloween costumes? Look no further. 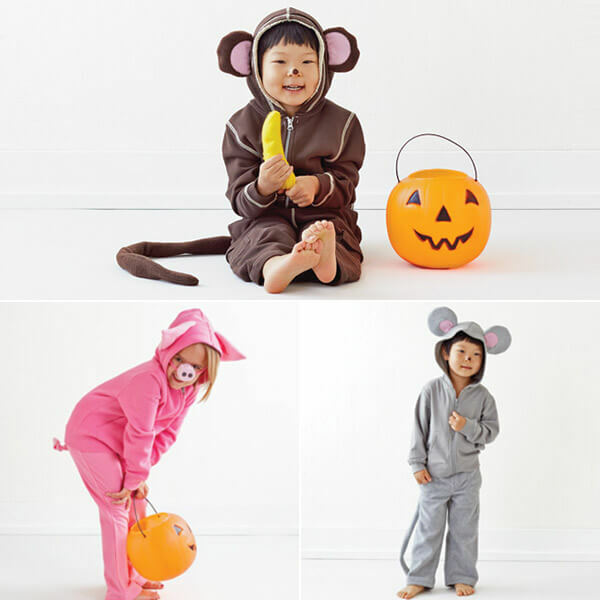 All you need for the base of these cute animal costumes is a pair of sweatpants and a matching hooded sweatshirt. 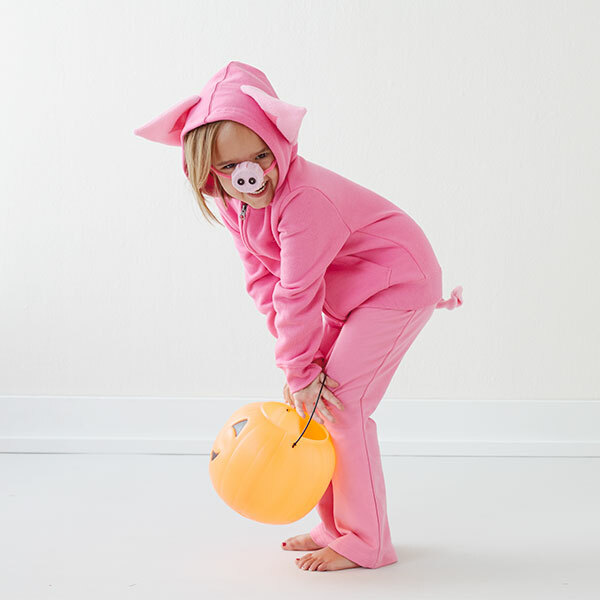 With just a few craft store additions, you’ve put together a fun and easy Halloween costume. 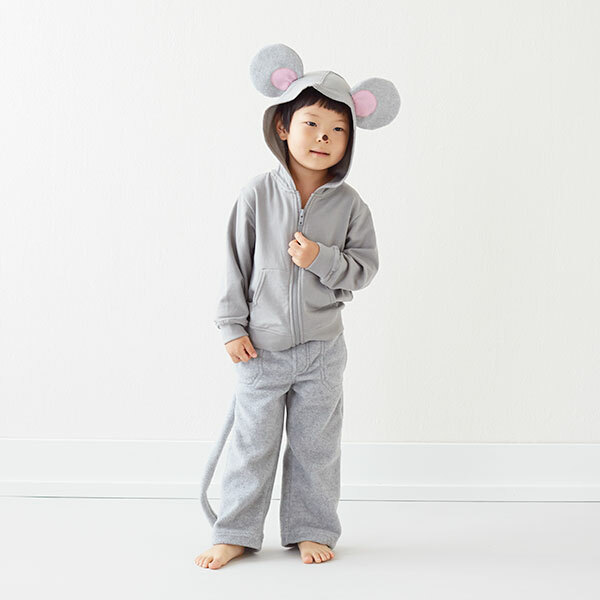 And, best of all, your kids can wear the sweatshirt and sweatpants again later—sans accessories—thanks to some ever-so-practical safety pins. 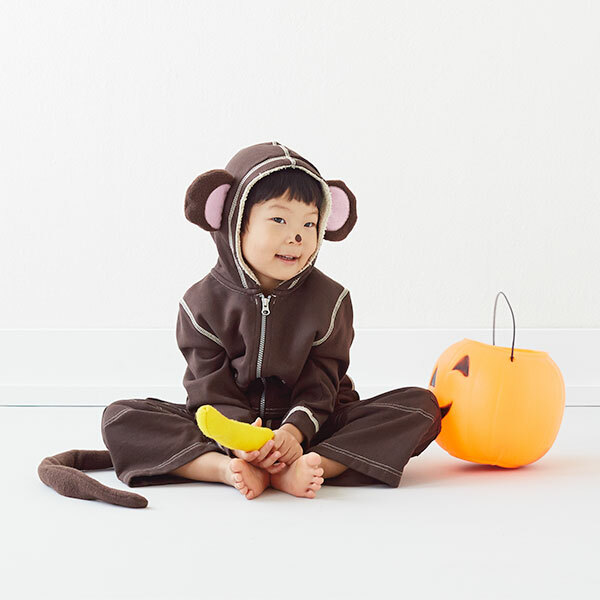 Tip: These costumes can be completely no-sew if using a hot glue gun is your thing. Just make sure you have lots of glue sticks on hand and don’t burn your fingers! Sylvia Christianson is a writer with many diverse talents. A bit of a perfectionist (except when it comes to housecleaning), she spends her spare time driving her darling husband and 20-something daughter crazy. Lori LaBelle is a photo stylist assistant. She dotes on her husband, 6-year-old daughter and miniature dachshund, Ruffles. When not photo styling or doting, Lori enjoys dancing, sewing, book clubs and tricking out her Prairie Village split-level.